The climb is steady as players make their way over from early-morning shopping deals to come and grab a seat in Day 1A of the $100,000 Guaranteed $560 @WPTDeepStacks Championship Series kickoff event. Players are back from their first break of the day, plying four more 30-minute levels (plus a 15-minute break) before registration comes to a close right around 3:25pm today. 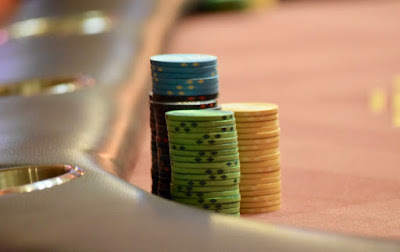 There's a scheduled 40-minute dinner break at the end of Level 14, and play concludes once the Day 1A field is in the money with 12.5 percent of the starting field remaining.